In the fall 2011 I knew I needed a lifestyle change. I was the most unfit I had ever been, I was smoking 2 packs a cigarettes a day and basically given up on my health. I never felt good, I was severely depressed and as a mom of 2, I knew that if I kept it up, I wouldn’t be around to see them grow up. I found POP Pilates on Pinterest and instantly fell in love with not only Cassey but the format. I loved the fact that there were pop song challenges that lasted 5-10 minutes. That’s all I could do to start – sometimes I even had to pause them but I loved it so much I never felt defeated. The videos lead me to blogilates.com where I was blown away by the content that was offered. FOR FREE. I learned to add clean eating to my workout calendar, had access to recipes, and by May of 2012, I had lost over 50 lbs. Since then, I’ve lost an additional 20-30 pounds and have maintained this lifestyle. In fact, I’ve made this lifestyle my life’s mission. I finally took the leap to become a certified POP instructor in July of 2017 (wanted to do that way before that but life and myself got in the way) and that lead me to becoming a NASM Certified Personal Trainer in March. In April, I opened up my own Fitness Studio. Soar Fitness Studio in Morgantown, West Virginia! POP Pilates changed my entire life. The workouts, the instructor training, the community and Cassey herself. It has empowered me more than I could’ve ever imagined and has helped give me the confidence to chase my dreams. I love sharing that empowerment with my POP students. I am forever grateful for everything POP Pilates has done for my journey thus far. I know I have given myself a better chance of a longer life so that I may see my kids grow up. There are not enough thank you’s to say for something like that. Please, can you start with success stories/before & afters again? It’s so inspiring! This is amazing! I’m so moved by how much more healthier and happier she is! I am currently doing piit 28 and beginners Pilates 6 days a week. It’s okay if you do both. But don’t stress yourself out too much. If you feel your body can’t handle it, slow down or put one of them on hold. Superb Jessica, you have really done a great work………….Congrats………….. I love it! Such a great story and gives me a lot of motivation. I’m starting again after falling off the bandwagon, and reading such stories gives me life! Your story inspired so much! WOW, that is so crazy inspiring thanks so much for that!! Wow. This is awesome! Your journey is incredible, and your self-esteem is off the charts, and it’s super gorgeous. Darn, I should’ve taken before/after pics to record my own progress. It’s always great to know just how far you’ve come. Thanks for sharing your story! This is awesome! I love learning about your “backstory.” How far you’ve come!! This is such a beautiful example of the power of the positive POPster community! 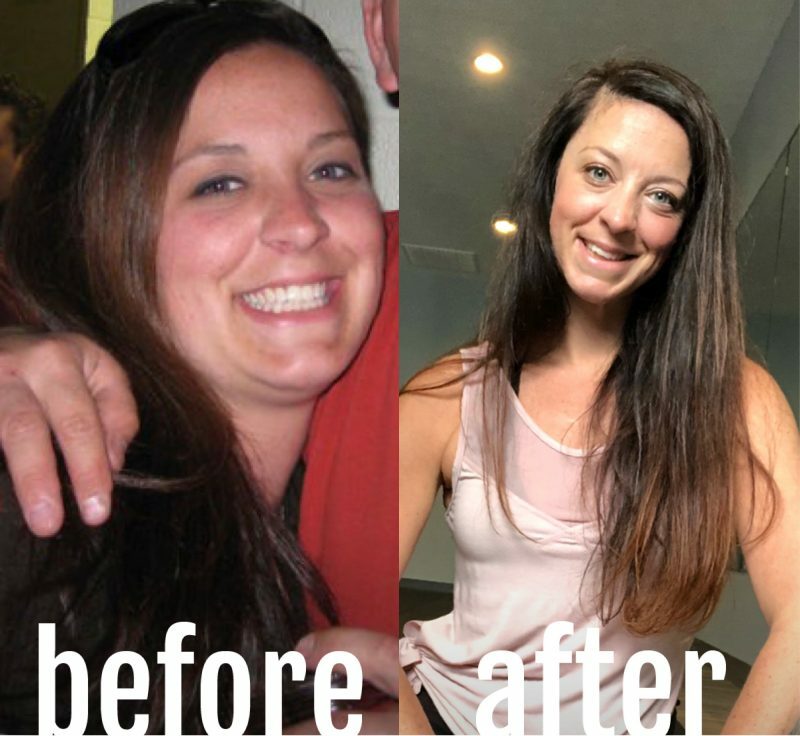 So happy to read your success story Jessica!! What an amazing life change, so much so that you opened your own gym! I’d love to attend a class at SOAR one day!